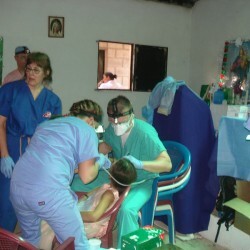 Sacred Heart Catholic Community participates in a Medical Mission to El Salvador. Our mission coordinates with the Christian Foundation for Children and Aging, which has projects in El Salvador, Mexico and Guatemala. If you are interested in mission service outreach, contact parish stewardship office. 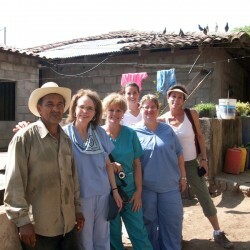 CLICK HERE TO VIEW PHOTOS FROM THE 2011 EL SALVADOR DELEGATION. The Coffee project has been a way for parishioners to buy coffee directly from a grower near Berlin, El Salvador. 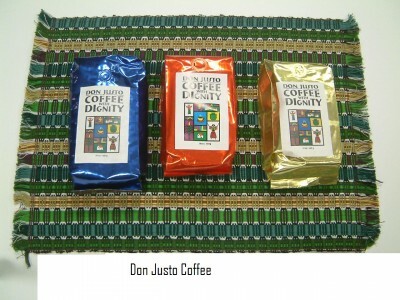 We can buy beans or ground coffee and the profit goes directly to the grower instead of the middlemen. The coffee is so good that Java Joe’s in Des Moines is now carrying it. It costs $8 per pound, which is about what beans cost in our grocery stores. The difference is that instead of making a profit of 10-15 cents per pound, the growers will make $2.50 per pound with which they can more easily pay their workers’ wages and health care, as well as overhead for their small plantation. The remaining $5.50 per pound will go towards the cost of wells for the villages and for the sewing project for the women of Berlin. Coffee is available after mass, if you are interested in trying a pound or two. Each summer Senior High youths and adults take a service project trip to help the needy. 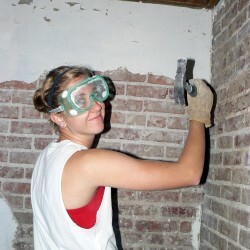 The group has been to many parts of the United States and has done a variety of service projects. Fundraising events for this activity are held throughout the year. This is an opportunity for youth to walk in Discipleship.